John J Heartfield Collection is a constantly growing collection of rare photographs from the collection of John Heartfield’s grandson. Heartfield Archive is a collection of published photos of John Heartfield, his life and times. John Heartfield was more than a great artist. Heartfield was a notable participant in historic social and political events of the twentieth century. The curator is pleased to share rare photos from the John J Heartfield Collection of the artist at risk, at work, and at rest. Life As A Fighter -> Photos -> Heartfield Archive features previously published John Heartfield photos. 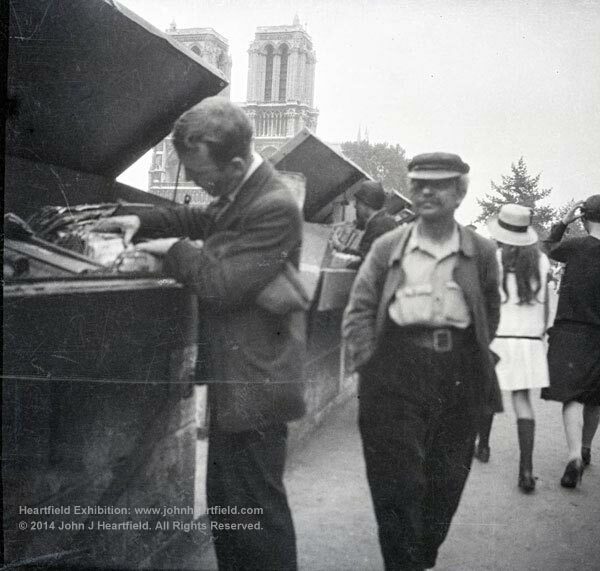 John Heartfield searching for material, Paris, 1935.